Every year in October, ever since he’s been visiting France on the world professional surfing tour, Filipe Toledo (currently ranked #2 in the world) has ventured across the border into Spain to Wavegarden for a surf session or two. This year was no exception and some lay days during the Quiksilver Pro France afforded Filipe and his friends Miguel Pupo and Ian Gouveia the time to test out the Wavegarden Cove’s new high-performance waves, which include a barrel wave, a slab, and an aerial section, among others. 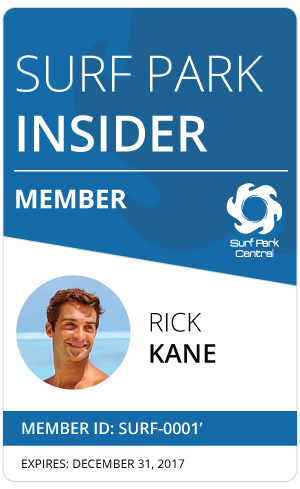 The Wavegarden Cove offers approximately 30 different types of waves for beginners, intermediates and experienced surfers that can be modified with a touch of a button. However, in recent months Wavegarden’s fluid dynamics department has focused on improving the main Reef waves by altering the bathymetry. The pro’s feedback has always been instrumental in guiding the evolution of the menu of waves available and the Wavegarden engineering team was eager to see how the surfers performed. On top of getting some deep barrels, Filipe executed some spectacular carves, straight airs, air reverses & roundhouse cutbacks. And, when Pupo and Gouveia weren’t free falling into the barrel, they were busy performing a series of razor-sharp vertical re-entries on each wave. By the end of the session, the guys had caught over hundred waves each, surfing on their standard boards, and having an absolute blast. Although the Wavegarden Cove at the private demo center is only 20% of the size of a standard commercial facility, Urbnsurf is bringing the first full size Wavegarden Cove to Melbourne, Australia. The facility is under construction and will open to the public early next year.